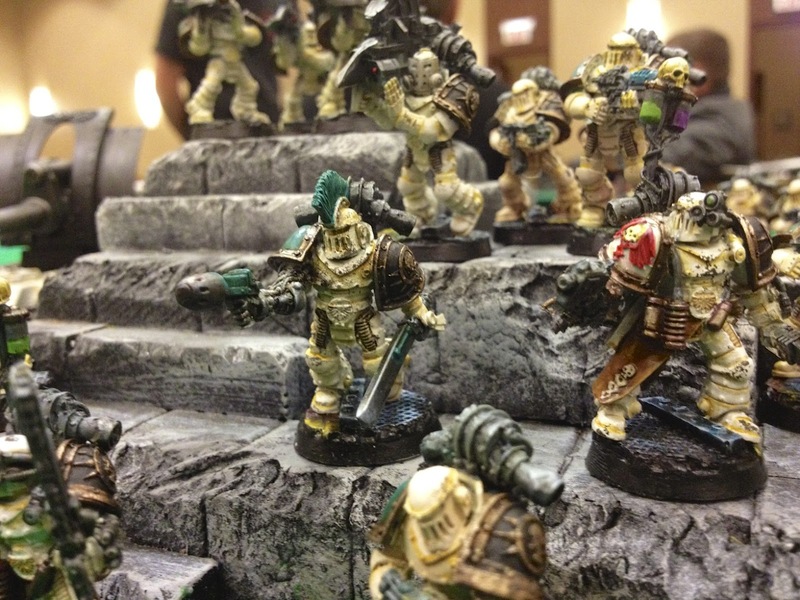 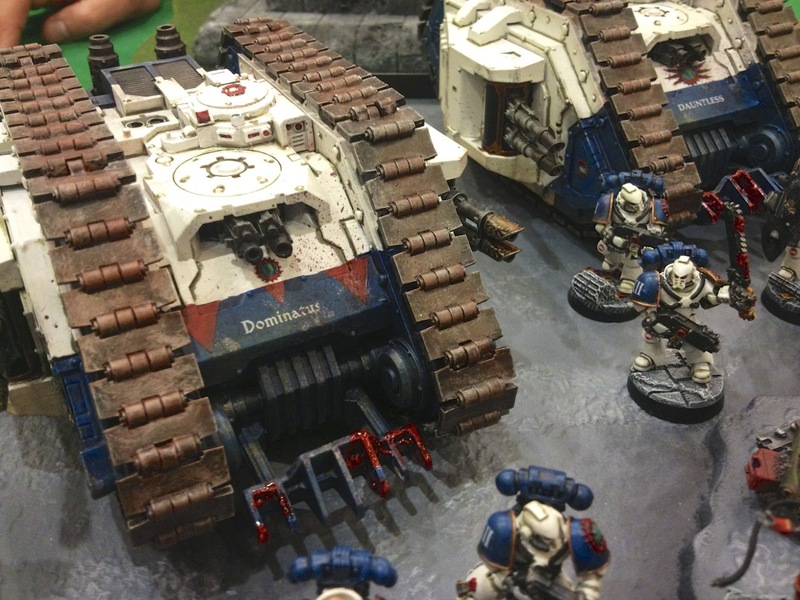 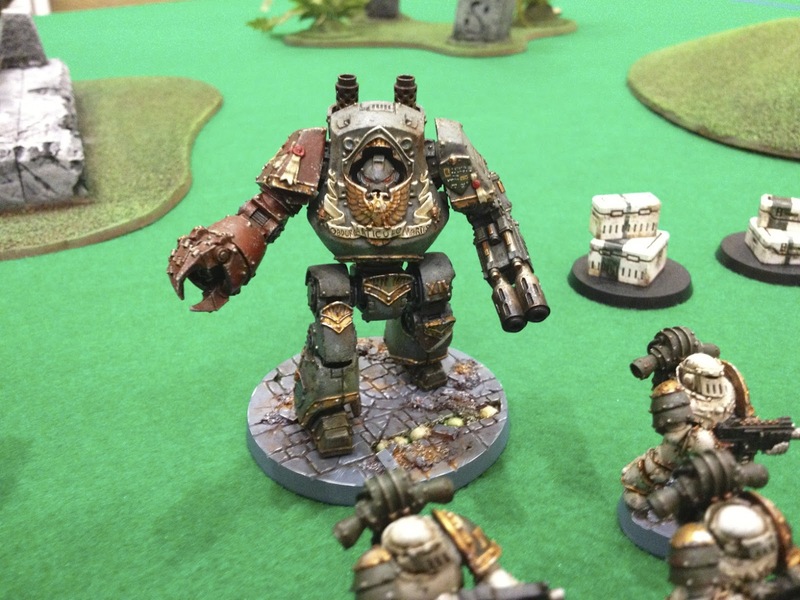 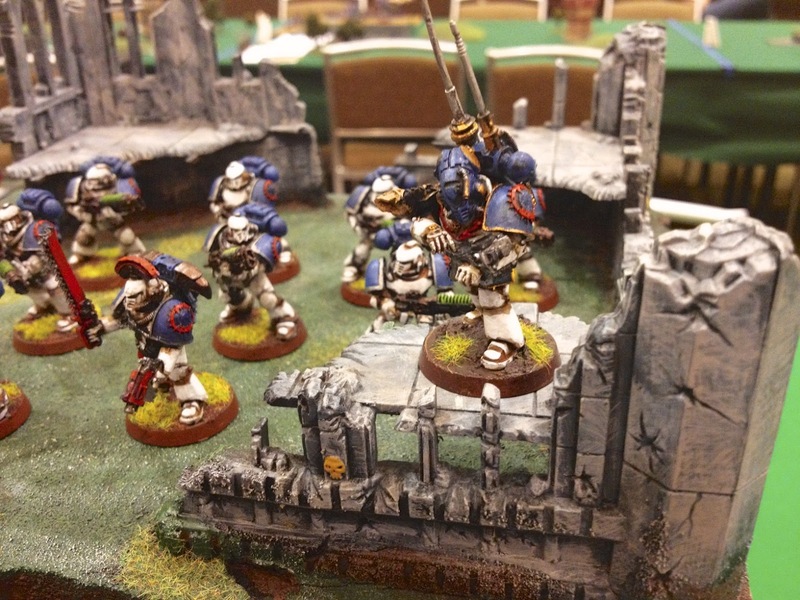 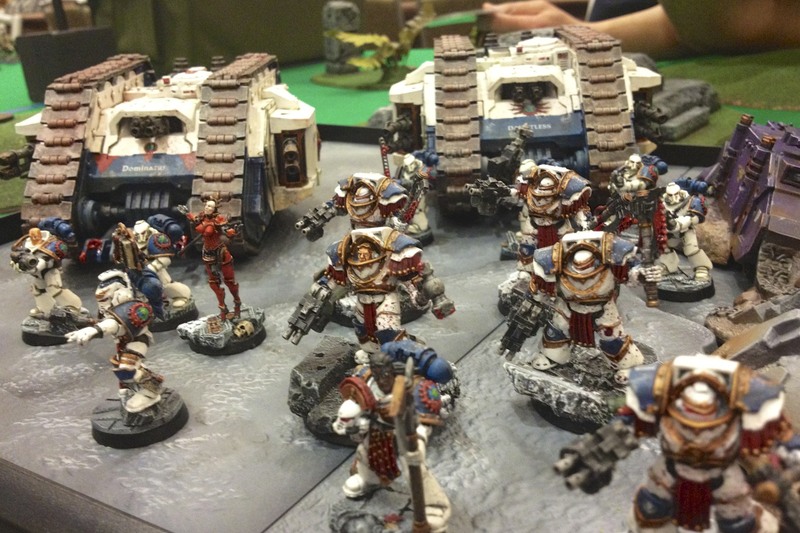 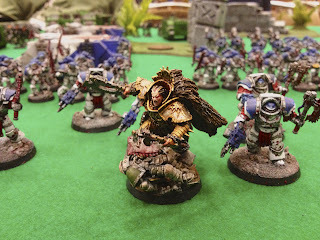 The first day of Adepticon this year was also when the first Adepticon Horus Heresy event was held. 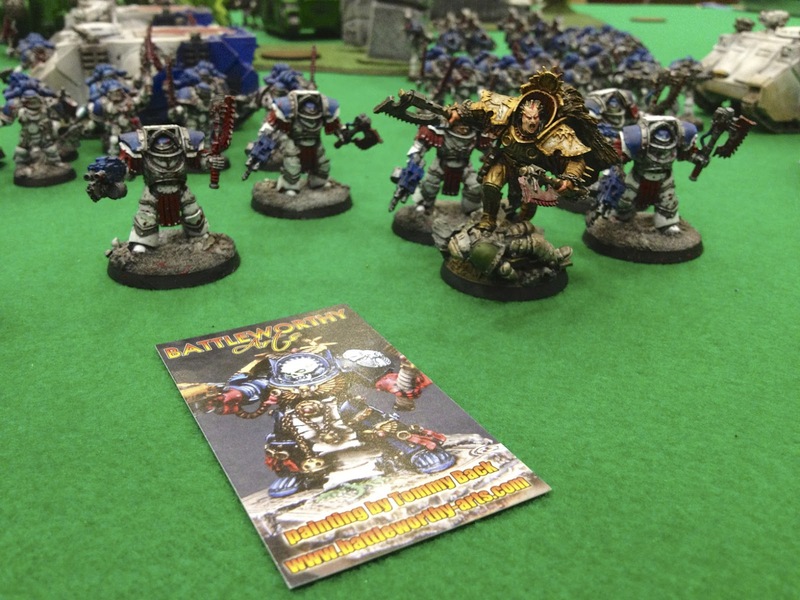 Due to the weather delays I know a few people who wanted to play were not able, but still we had about 12 players. 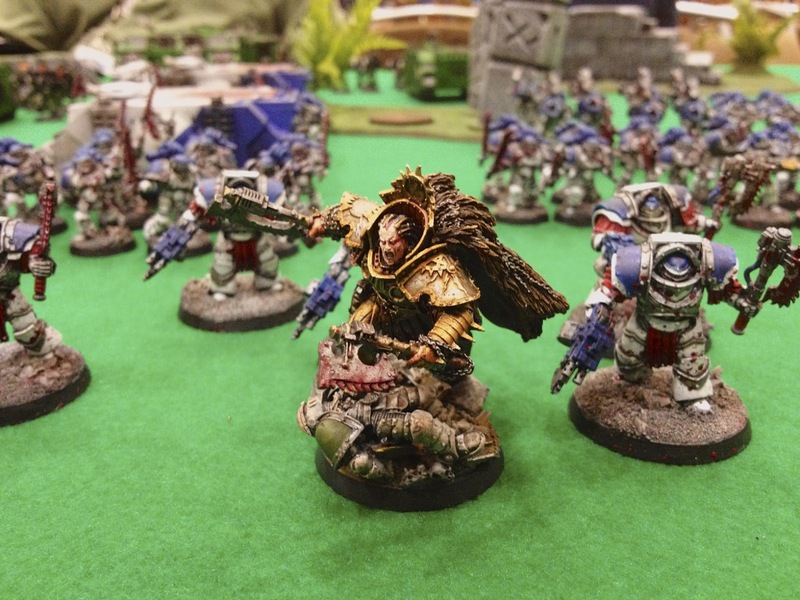 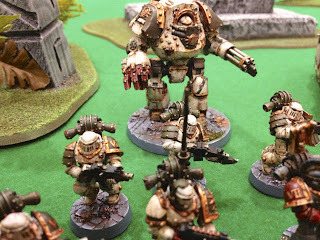 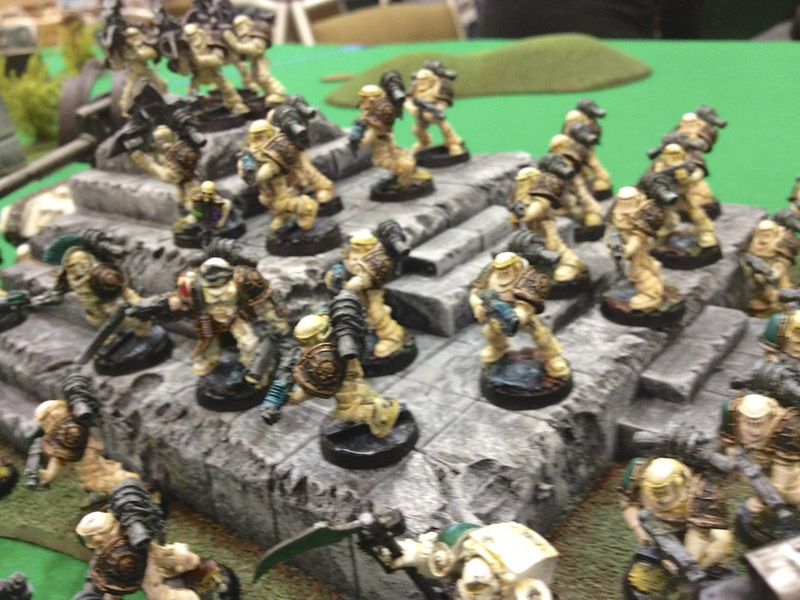 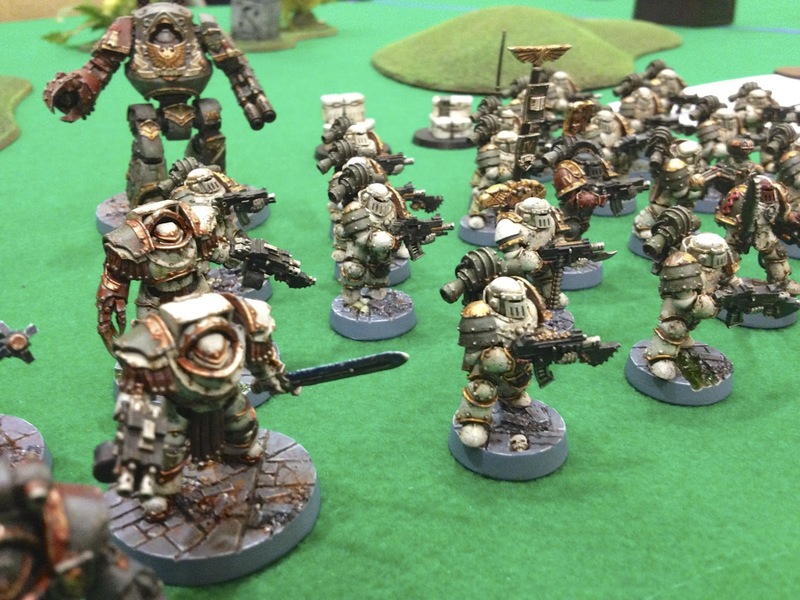 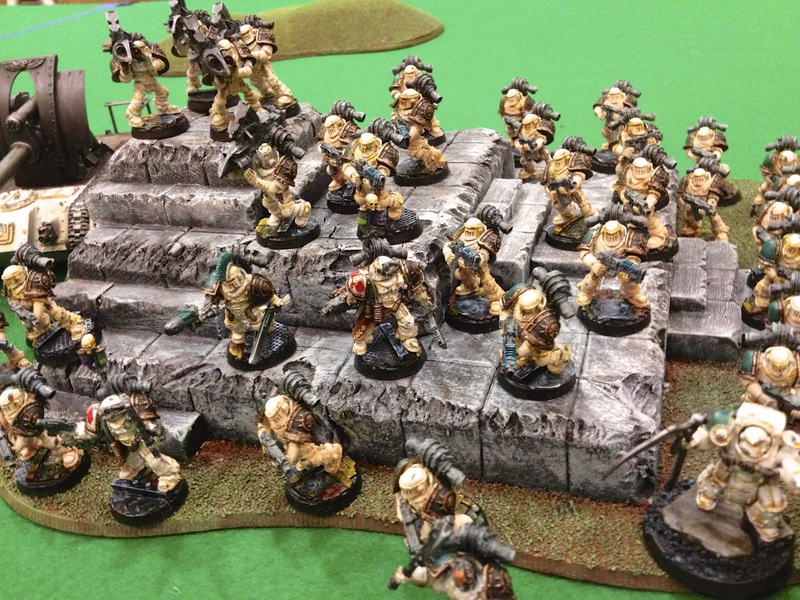 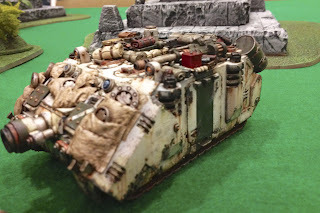 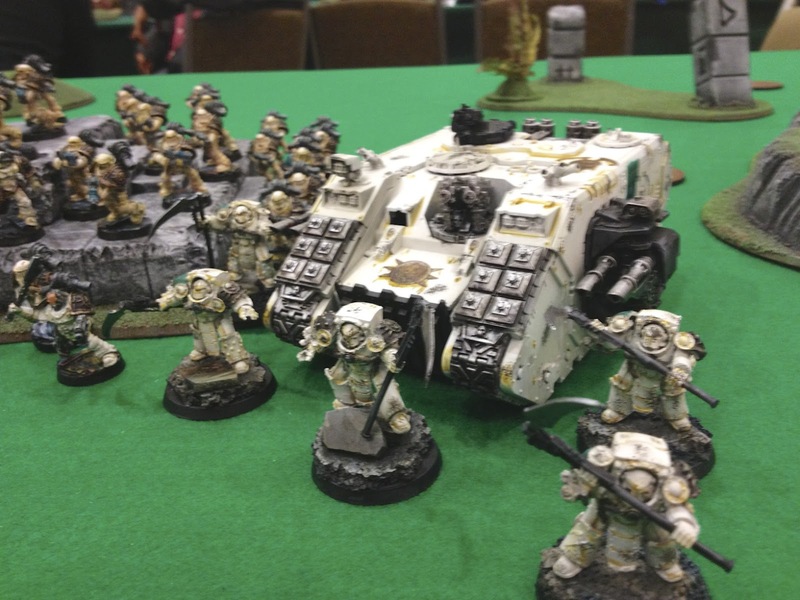 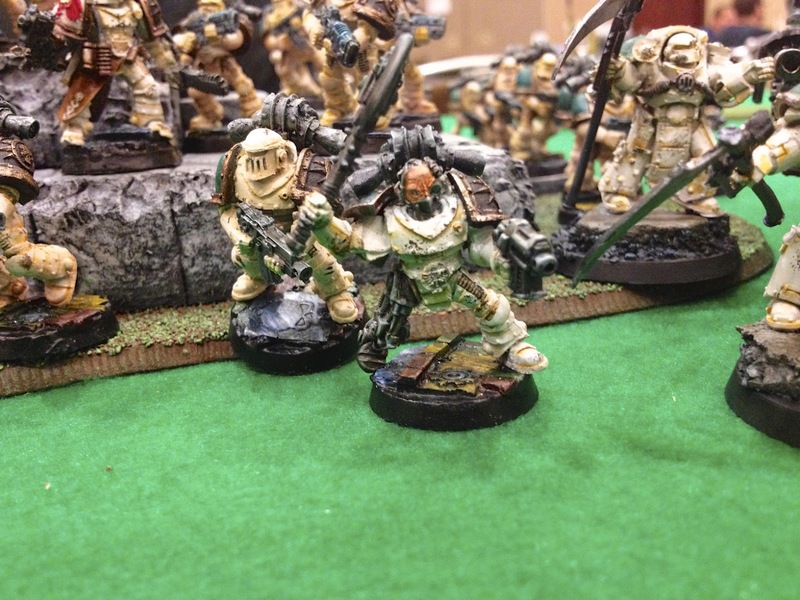 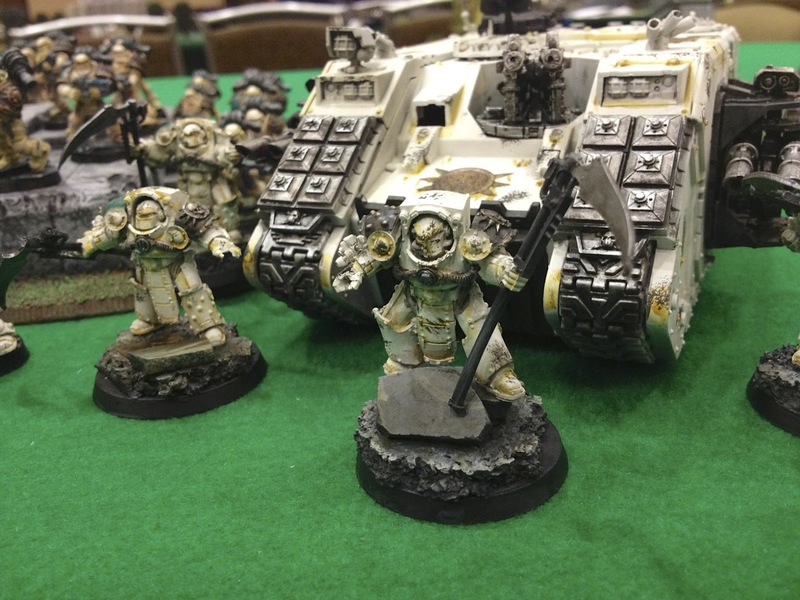 This awesome Death Guard army belongs to Ty F. He ended up winning the event. 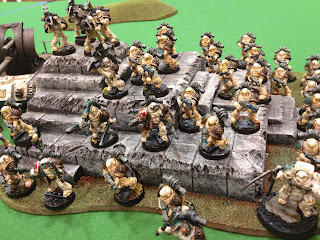 Next, we had the ringers army. 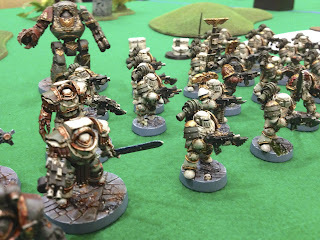 It was a beautiful World Eater's army painted by Battleworthy Arts. 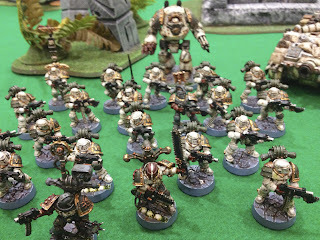 What was funny is that we were looking at this army on Ebay on the drive up to Chicago. This army ended up being Horus' champion. 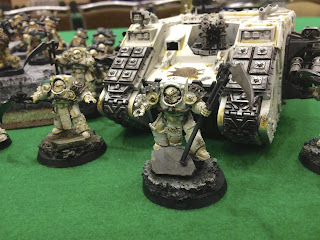 I didn't catch this lads name, however he had an excellent World Eater's army. 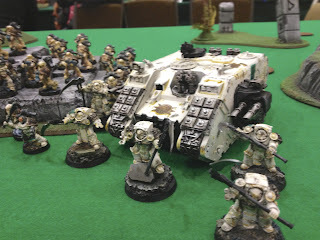 Finally, here are a couple of pictures from my Death Guard army. It was a fun, furious five weeks of painting and getting the army ready. 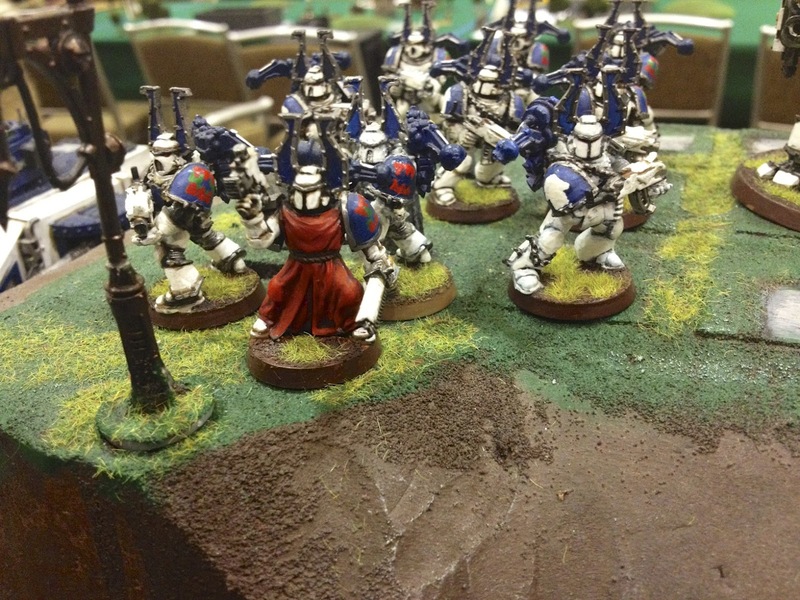 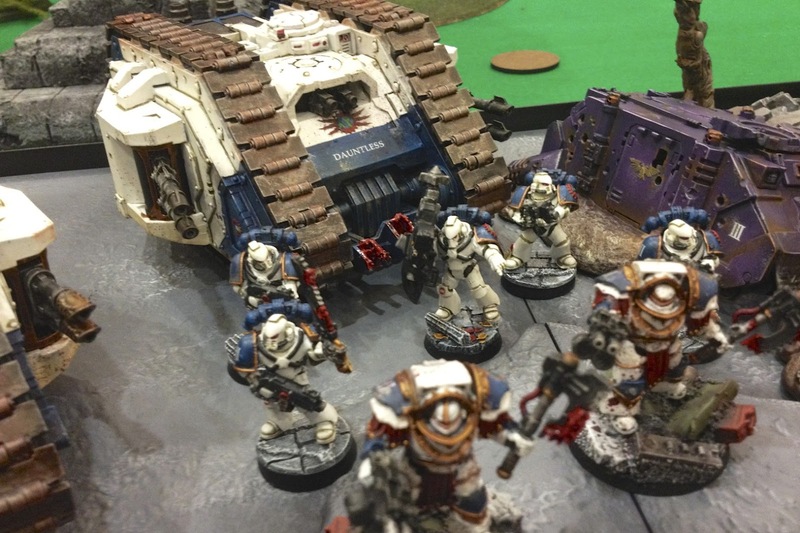 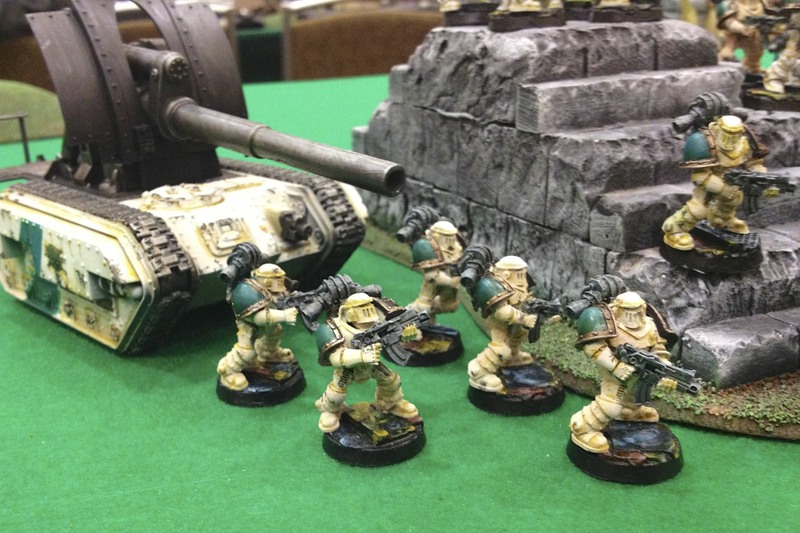 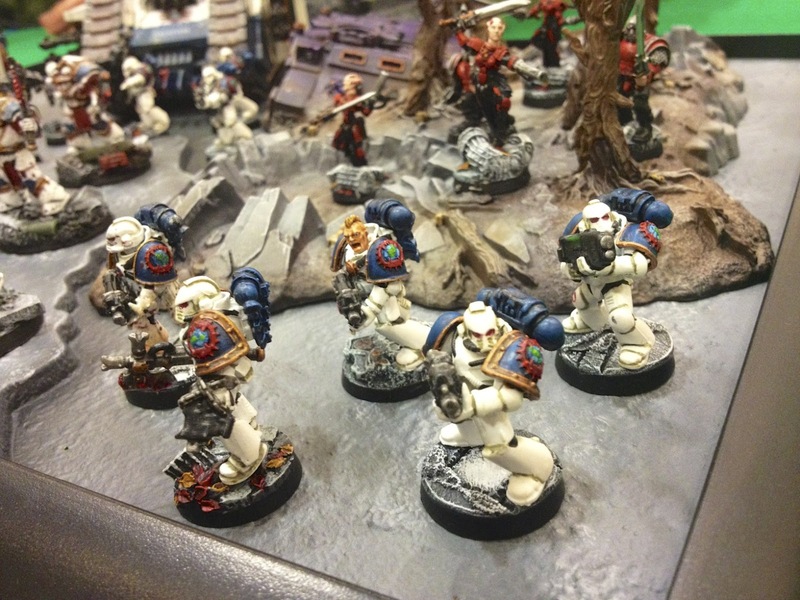 The army played well, and I loved running Space Marine Tactical squads twenty strong! Looks like a cool event with a lot of lovely armies. 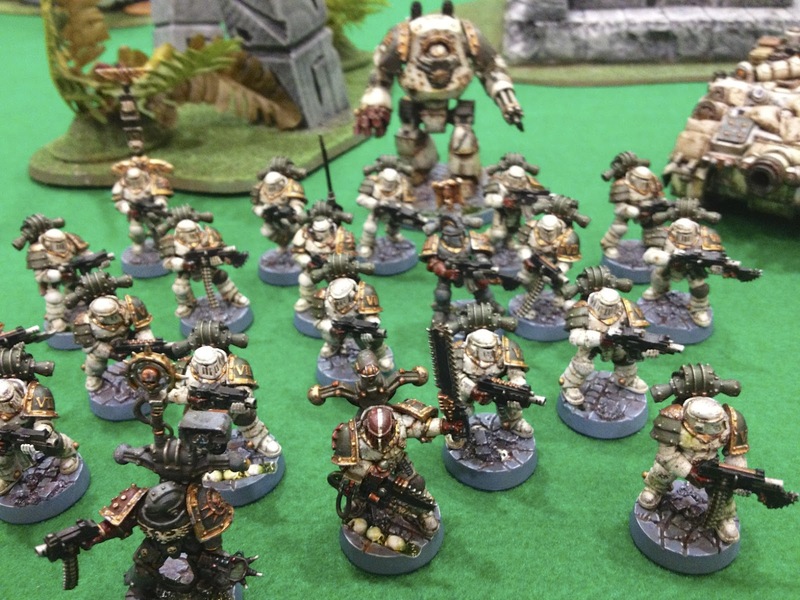 How many games did each person play? 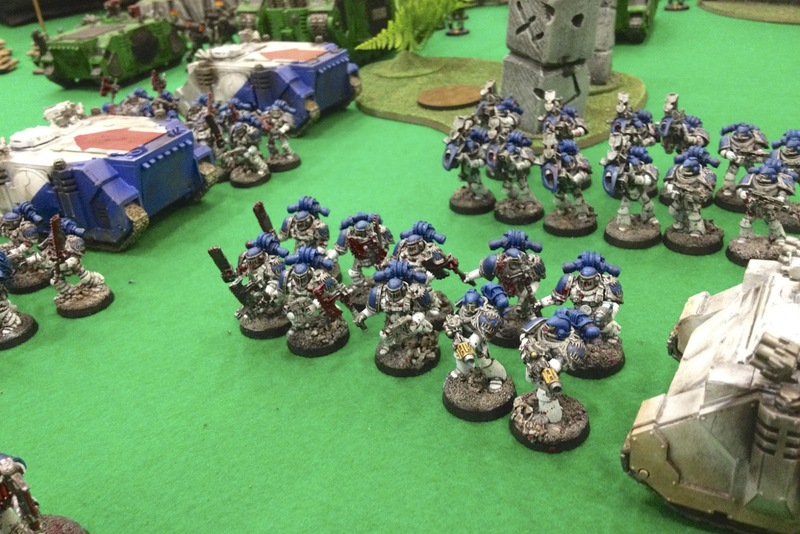 It was a three game tournament. The first mission was fairly standard, the last two were more Heresy Themed. 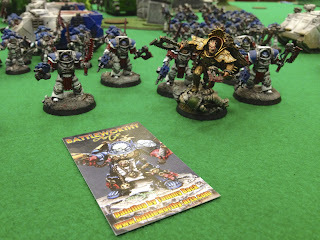 It was a great time and everyone was simply fantastic. 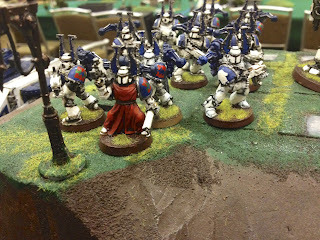 I'll post some more about the tournament later on.